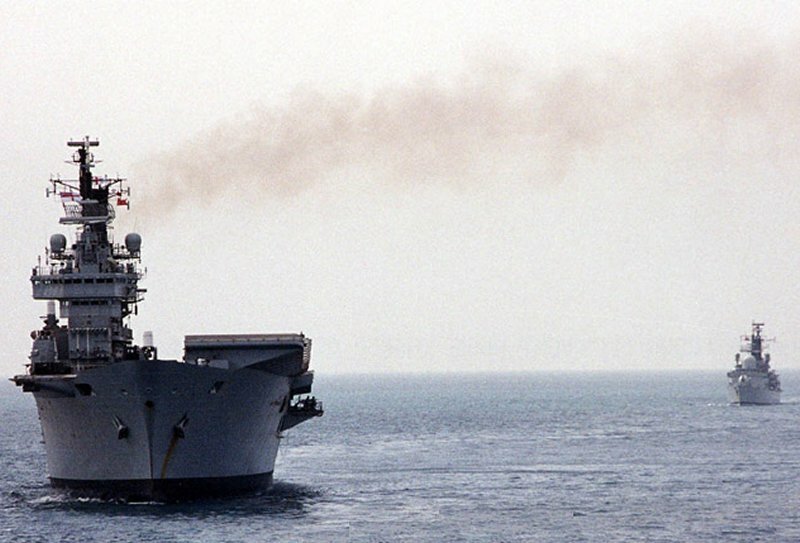 The Invincible class carriers, all three commissioned between 1980 and 1985, were initially dubbed as "through deck cruisers" for political and funding purposes, and were the first successful VSTOL carriers in the world, employing the British Harrier aircraft. Threatened with cancellation and selling by politicians, the miltary planners garnered enough support to see the task through and complete the development, launching and commissioning of these vessels. 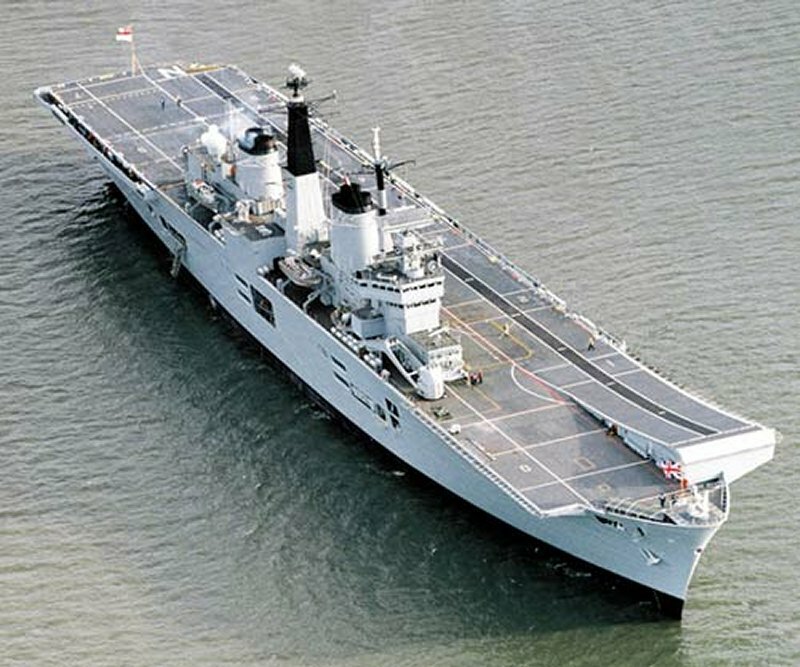 The concept proved very useful and successful in the 1982 Falklands War with Argentina where the United Kingdom sent down two aircraft carrier groups, one consisting of the Hermes (later sold to India to become the INS Viraat), and the other of the newly completed Invincible, which was rushed through final trials in time to participate in the war. By MAy of that year (1982) the task force had accomplished two of its main tasks; the movement of the troops safely to the South Atlantic and the establishment of control of the seas around the Islands. 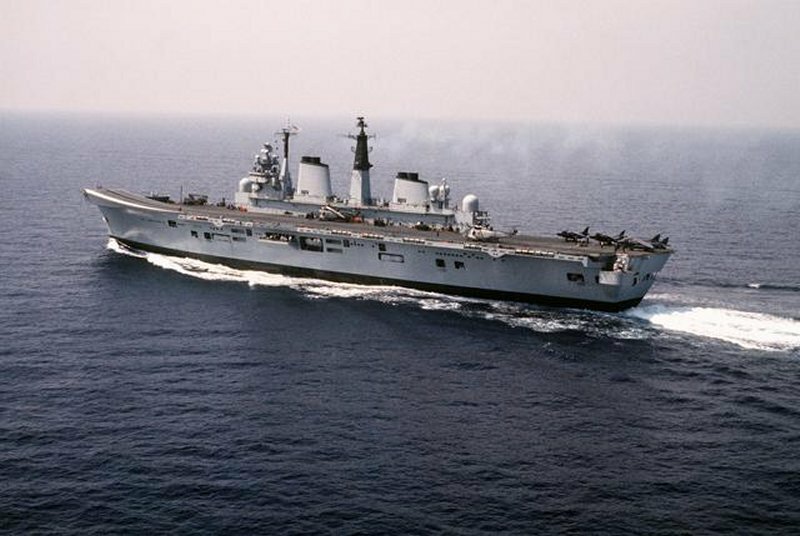 The role of the carriers, HMS Hermes and HMS Invincible, was crucial through all stages in providing air defence and the means of attacking enemy ships and ground positions, while their helicopters provided constant anti-submarine protection. The Invincible and her air wing performed well, despite some losses to both aircraft and supporting ships from Argentine air attack, and the islands were recaptured and the Argentine forces defeated. The carriers were originally designed without the now characteristic ski ramp. However, during operational tests it was discovered that using the ski ramp provided the Sea Harrier with much better performance, allowing it to carry more fuel and weapons, making it a far more versatile aircraft for fleet defense, attack at sea, and ground support missions. 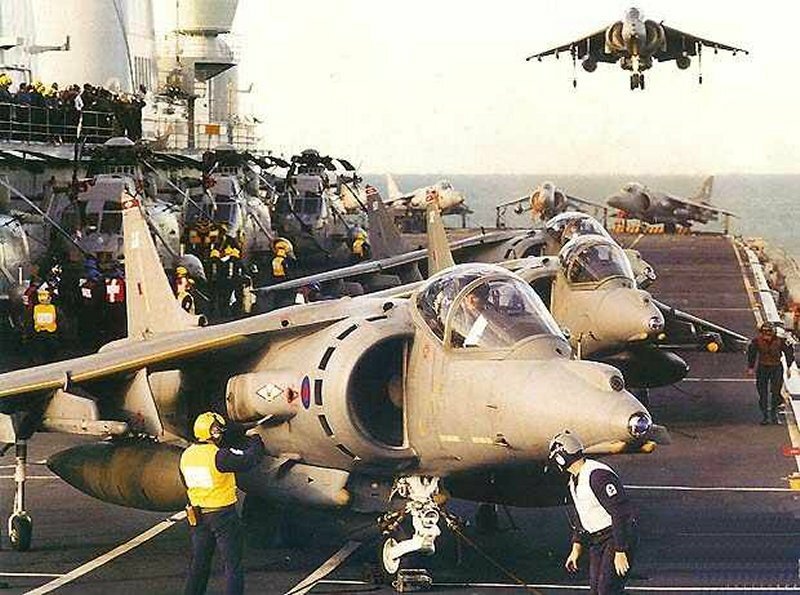 The upgrade to the F/A 2 Sea Harrier was a great success for the fighter, and allowed it to do its job very capably in many different operations, particulalry in combat in the Mid-East. The HArrier is slated to be replaced by the Joint Strike Fighter slated for use on the new, full deck HMS aircraft carriers. 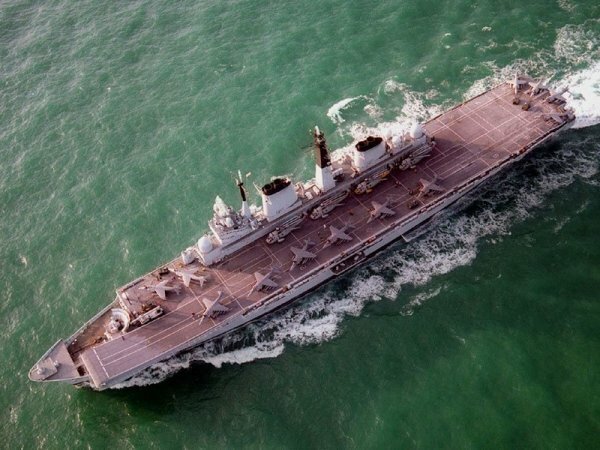 In that regard, by June of 2011, all but one of the Invincible class carriers had been decommissioned and being disposed of to make way for the two new, full deck, conventional carriers the United Kingdom is now building. 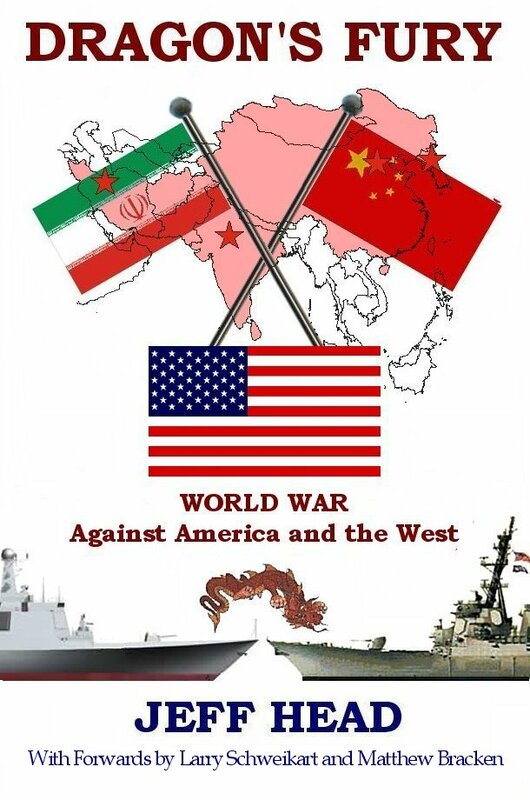 These carriers served their nation and the cause of freedom in the west very capably for over thirty years. 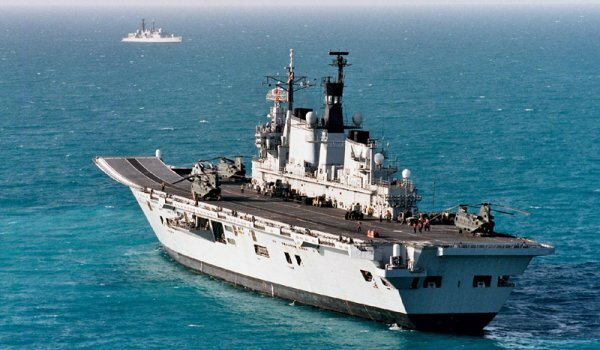 This leaves only the HMS Illustrious active, and she will be decomissioned as soon as the first new carrer, the Queen Elizabeth is comissioned.